Approximate weight per package: 2.5 Lb. Ground mechanically deboned chicken. 4 lbs per tray. 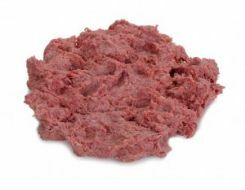 Delicious when used to make meatloaf, meatballs, burgers or any other recipes calling for ground beef or chicken.